Jake Lee has emerged as the visual chronicler of the Chinese American past. No other artist, of any background, has presented that history as richly and as evocatively as Jake Lee did. 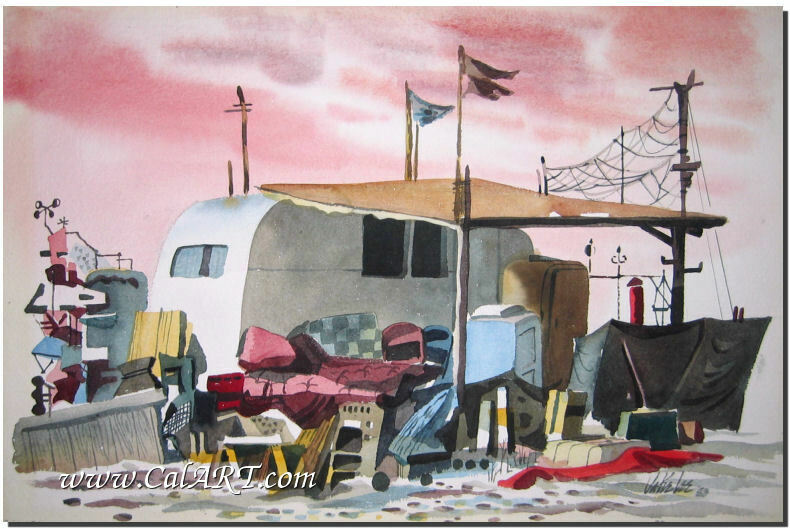 Jake Lee biography provided courtesy of �California Watercolors 1850-1970� By Gordon T. McClelland and Jay T. Last. Jake Lee began painting at an early age, depicting views of the Chinese communities in California and fishing docks near his home in Monterey. 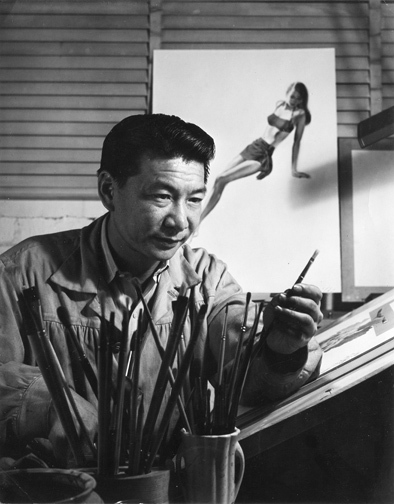 Lee studied art at San Jose State College and after taking a job as a commercial artist for a San Francisco newspaper, became friends with artist Dong Kingman. 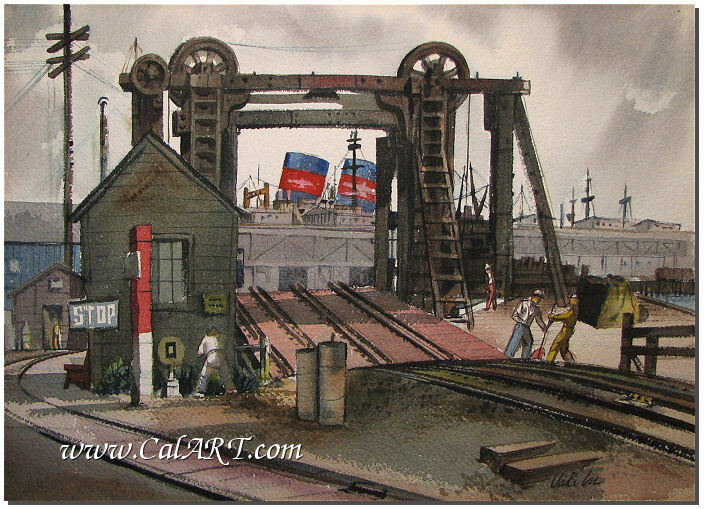 They spent a great deal of time painting on location in the city and Lee credits Kingman as being an influential instructor and artistic inspiration to him. 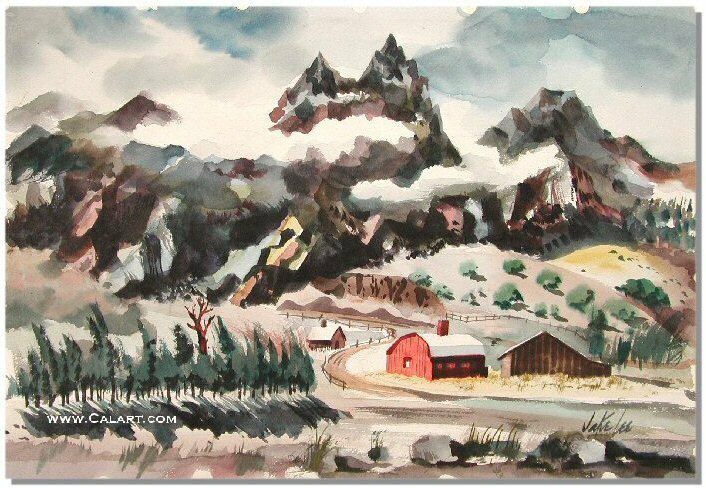 By 1944, Jake was settled in Los Angeles and was exhibiting with the California Water Color Society. He worked as a commercial illustrator producing magazine covers, product advertisements, posters and children's book illustrations. 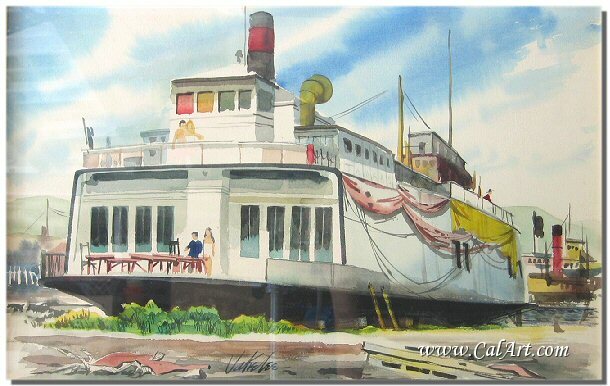 Most of these were done with watercolors or gouache on illustration board. 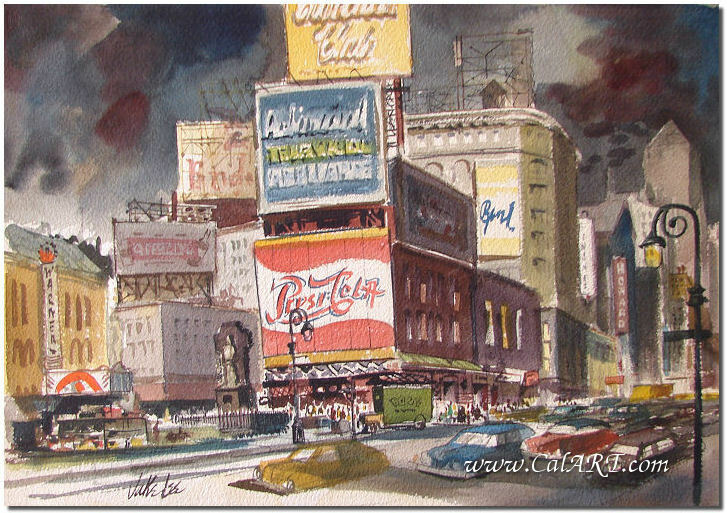 For over forty years, he enjoyed a successful career in this field and still found plenty of time to paint and exhibit fine art watercolors. Jake Lee was also an influential art instructor in Southern California. Interview with Jake Lee, 1984.